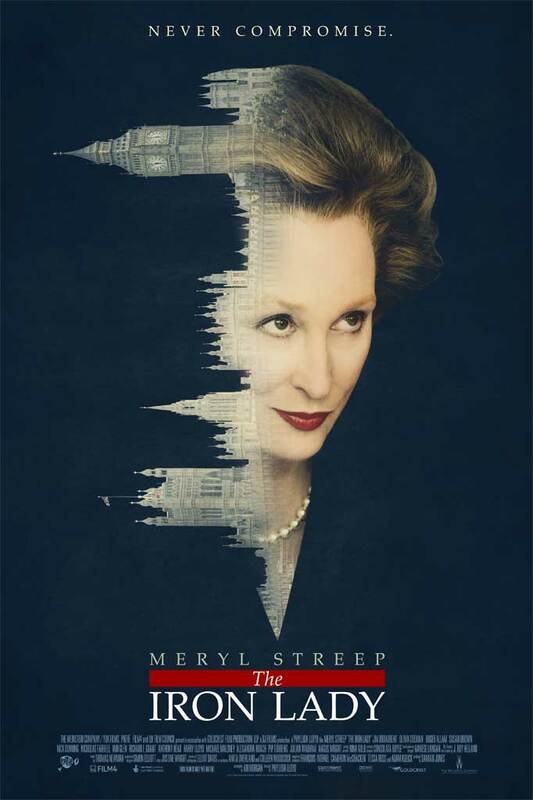 Synopsis: A look at the life of Margaret Thatcher, the former Prime Minister of the United Kingdom, with a focus on the price she paid for power. Review: By now, it’s a given that Streep is the best actress of her generation. Quibble if you must but the proof is in the pudding. From Sophie’s Choice to Silkwood to Ironweed to She-Devil to Mamma Mia! to Adaptation to The Devil Wears Prada the ‘many faces of Streep’ seemingly has no end. In the past several years she’s turned in a steady stream of Oscar worthy performances. That is to say, while the performances have been consistent I always felt like there was someone else better suited to take the statute. Here, finally, is an Oscar winning performance. It’s another role that Streep disappears in but gives much gravitas to. Margaret Thatcher was a figure that divides people to this day and while the movie doesn’t necessarily sugar-coat her life, it isn’t afraid to give you some hints as to why people love to hate her. It would have been easy for the filmmakers to do a straight biopic of Thatcher’s rise from a working-class grocer’s daughter to the longest serving Prime Minister of the 20th century. Instead of that route, the film is more interested in the woman behind the pearls, which is precisely why I imagine Streep took the role. It jettisons pretty much any discussion of her personal life and focuses on her determination to be a leader to her party. It’s a tricky line to walk because while she’s not shown as an outright cunning climber, it is suggested that she sacrificed elements of her relationships as a wife and mother. Were she a male this may not have been as obvious a point but it’s almost too much information to get into 105 minute film…so cutting the home life angle was a wise one. If the film is faulted for anything it’s that it never really commits as much as its leading actress does. Director Lloyd seems to resist pushing deeper to that darker side. Yes, Thatcher is shown with conflict and never at a loss for words…especially when it comes to upbraiding her male peers. However, aside from one too many shots of Thatcher riding in her car with the masses kicking and shouting from the outside, no real consequences of actions taken are shown. An element I ended up appreciating was that the entire film is seen through the eyes of an aged Thatcher, disintegrating with dementia in her London flat. If Streep tells the story of the younger Thatcher though body language and dialogue, her take on the older Thatcher is all in the face. That’s when you know you are watching the best of the best. With the slightest shift in her eyes a story is told…these are wonderful, rewarding moments of acting to witness. Broadbent is not asked to do much here but recreate his “supportive husband” role that snagged him an Oscar in Iris…he’s a smart enough actor to know that his job is to support Streep as does the rest of the cast. That no one stands out isn’t a dig at the acting which is solid, it’s just that Streep commands each scene in a manner that you dare not look away. Like My Week With Marilyn, the central performance is stronger than the film it inhabits. I would recommend both movies but felt The Iron Lady was the more successful of the two. Streep is at the point of her career where I would pay to watch her watch paint dry…and she continues to take on roles that speak to her and translate well to her fans and critics alike. Before seeing this I wasn’t convinced that this may be Streep’s Oscar to lose but consider me convinced. While I still feel she has stiff competition from Viola Davis in The Help…I can see it being Streep’s year.